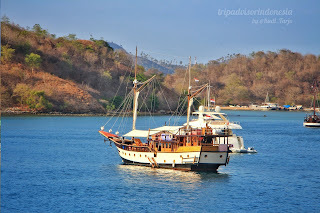 Things to Do 3 Days and 2 Nights in Komodo Island - Life on board cruise ship, sailing with Pinisi (Traditional Indonesian Ship), sunset, sunrise, snorkeling, meet wild manta and the rare blue tentacle Jellyfish. An amazing trip you can enjoy within 3 days with great experience. You will never find this adventure activities in other place. Komodo - The Dragon national park is located within Lesser Sunda islands in the border between West and East Nusa Tenggara. 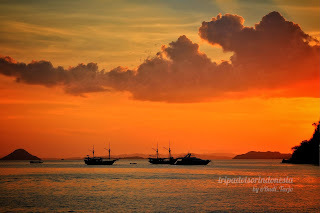 The park includes three large islands: Komodo, Rinca, Padar and 26 smaller islands. 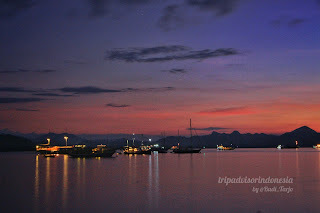 Komodo National park has total area of 1.733 km2 and 603 km2 of it land. The Komodo Dragon national park was founded in 1980 and become world heritage site by UNESCO in 1991. This area controlled by specific law to protect Komodo as the largest Lizard on earth. It is also protect marine biodiversity including fish, coral and other species. 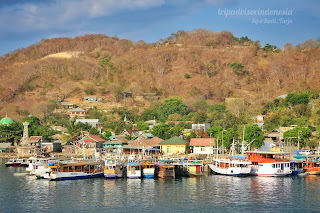 From Jakarta, Surabaya: direct flight or transit via Kupang to Labuan Bajo, East Nusa Tenggara.